With deep sorrow we regret to announce the unexpected passing of Irma Siqueiros Muñoz, 59, on Sunday, March 31, 2019. She was a beloved wife, mother, daughter, sister, grandmother, and friend. 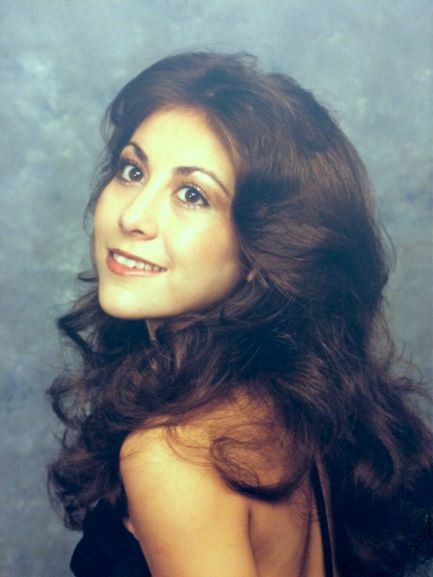 Irma graduated from Irvin High School in 1978. Irma is preceded in death by her father; Rodolfo Siqueiros, and brothers; Rudy, Carlos, and Victor Siqueiros. She will continue to be loved and missed by her husband of 35 years, Enrique Muñoz, children; Rick Galaviz (Sonya), Melissa and Amanda Muñoz, mother; Ofelia Siqueiros, siblings; Ralph Siqueiros and Letty Siqueiros Diaz, and favorite grandson Victor Gomez. Other survivors include family members and friends. Thursday, April 4, 2019 at San Jose Funeral Home-East, 10950 Pellicano Dr. El Paso, Texas, from 5:00 p.m. to 9:00 p.m. with recitation of the Rosary at 7:00 p.m. Funeral Mass will be held on Friday, April 5, 2019 at 1:00 p.m. at Blessed Sacrament Catholic Church, 9025 Diana Dr, El Paso, Texas. Interment will follow at Mount Carmel Cemetery.